Bailey's Glen is a 55+ community that offers new and resale homes from South Creek Homes. For exciting choices in active adult living, Bailey's Glen in Cornelius and Carolina Arbors in Durham are premium North Carolina 55+ communities, with low-maintenance homes, numerous floor plan choices, and many of the desired amenities and activities that active adults seek. Both are fairly recent but established active adult communities, with new and resale homes available. South Creek Homes began construction of Bailey's Glen in 2006, and Del Webb's Carolina Arbors started in 2013. Upon final completion, Bailey's Glen will have 468 residences (372 single-family homes and 96 luxury condos) and Carolina Arbors will be a larger community, with 1,256 single-family homes on 460 acres. Residents in both communities can customize their homes. This means no boring, cookie-cutter layouts in either location. Bailey's Glen boasts 19 ranch-style floor plans, and with the new houses, buyers can select paint and carpet colors. The Cottage, Village, Classic and Premier Collections offer between 1,294 and 3,100 square feet with a varied number of bedrooms and bathrooms. All models come with two-car garages and front porches. Depending on which model you select, you can also choose the options of fireplaces, foyers, rear patios, formal living and dining rooms, and hobby spaces. At Carolina Arbors, three model collections are offered: Passport (1,152 to 1,424 square feet), Expedition (1,620 to 1,961 square feet) and Pinnacle (2,155 and 2,562 square feet). All offer four different floor plans and, depending on the collection chosen, one to four bedrooms, up to three bathrooms, and up to two-and-a-half car garage. Both communities offer a bevy of amenities and activities. At Bailey's Glen, the center spot is the 12,000 square-foot clubhouse known as The Meetinghouse. It has an exercise room, aerobics and dance studio, five hobby and game rooms, a library, billiards room and a ballroom. The outdoor area has two swimming pools, outdoor pavilion and grilling area, pickleball courts, bocce ball courts, tennis courts, putting green and horseshoe courts. An on-site lifestyle director can help residents choose the activities that suit their needs and interests. Del Webb's Carolina Arbors is expected to have just over 1,200 homes. Carolina Arbors' clubhouse is not yet completed, but the 24,000 square-foot building is slated to have an indoor pool and spa. Like Bailey's Glen, the clubhouse at Carolina Arbors will have a fitness center, ballroom, library and billiards room. In addition, residents will have access to an arts and crafts studio, a lounge and a demonstration kitchen. Outdoor activities will include walking and biking trails, an outdoor pool, bocce ball and tennis courts. Community gardens and pet parks also are part of the plans. With both communities, lawn care maintenance is included, so residents have more time to enjoy the on-site activities or venture to the local area for even more fun. 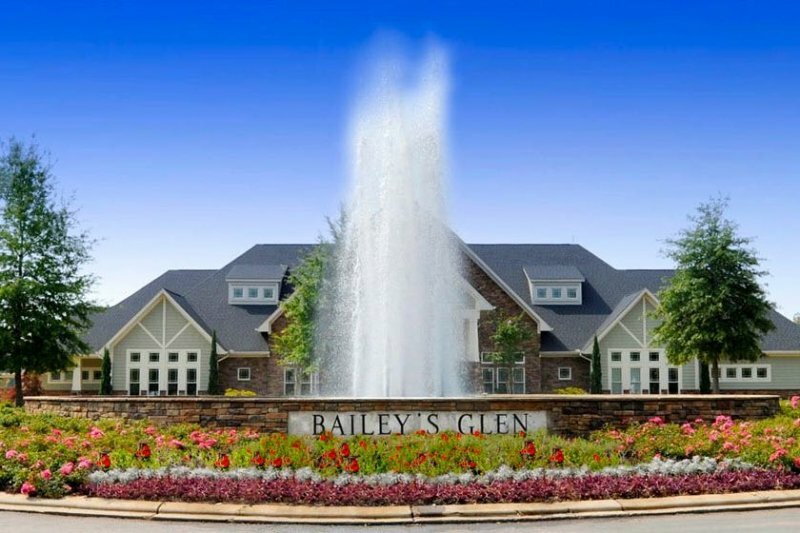 Bailey's Glen, about 20 miles from uptown Charlotte, is minutes away from the Northlake Mall and Concord Mills Malls. Just three miles away is Lake Norman, with 500 miles of beautiful shoreline for fishing, kayaking, canoeing and power boating. 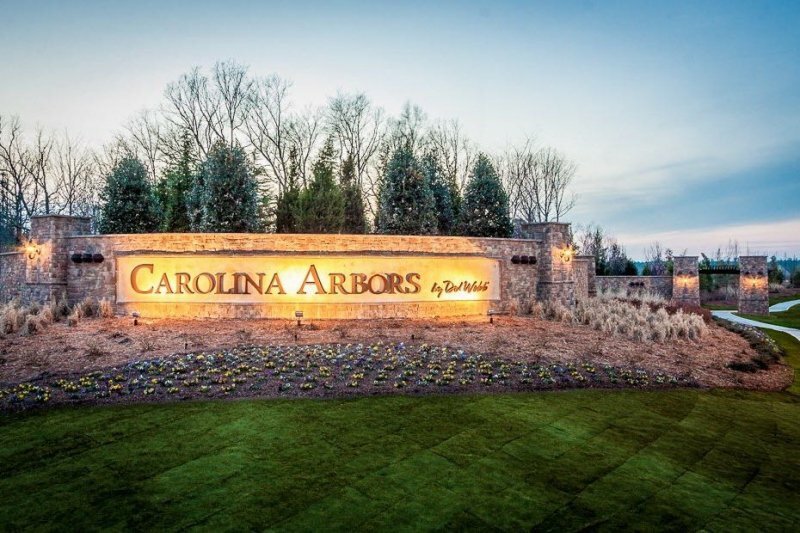 Carolina Arbors, located in the center of the Triangle Area of Durham, Raleigh and Chapel Hill, is close to three major colleges, six golf courses, and Brier Creek, a shopping and dining destination. Whether active adults are seeking a smaller community like Bailey's Glen or a larger one like Carolina Arbors, the housing selection, customization options, lifestyle and activity choices, and endless picks for fun in neighboring areas will give residents and potential buyers all that and more as they look for their next home.